We always love exploring with play-doh. This year I passed out mini play-doh containers for Halloween, so we still have a bunch left! My son had a new friend over for a playdate, so we decided to break out the play-doh and some other tools and see what we could come up with. The boys fought over the wooden skills sticks and wiggly eyes that we got in our free craft package from our friends over at Craftprojectideas.com. 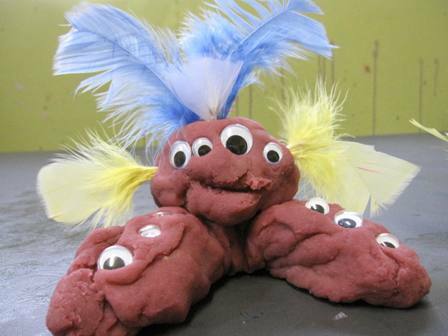 I loved the wiggly eyed stick play-doh monsters they created! 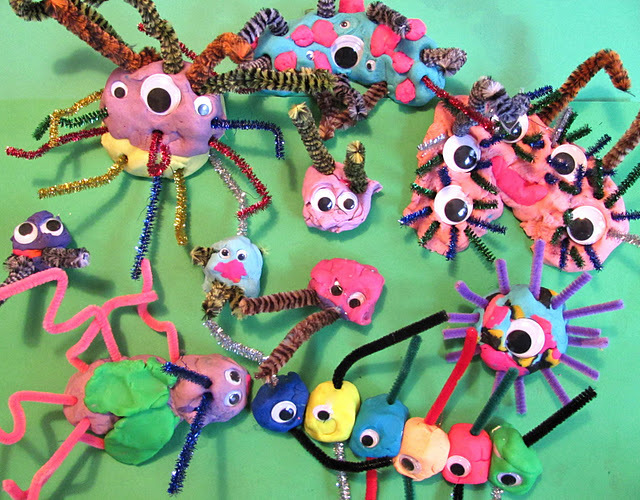 Have you made play-doh wiggly eyed monsters yet? The Artful Parent used feathers! The Chocolate Muffin Tree used pipe cleaners! 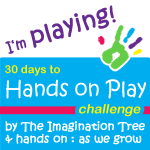 The Imagination Tree added sparkles to their play-doh. Love it! 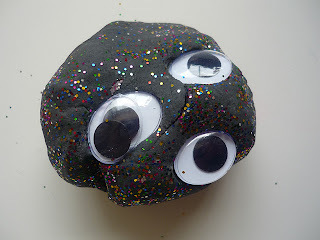 What materials could you use other than googly eyes and sticks? 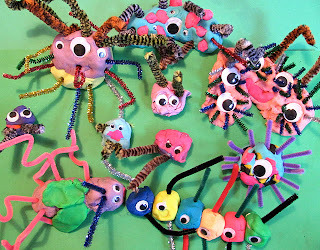 I'd love to see your posts on googly-eyed monsters if you have them, so share them in the comments! Sidenote: I am currently on a quick weekend girls trip to Utah and HAD to share this treat with you. We surprised my cousin and all flew in for her bridal shower. We've been eating a bit too much and took a trip to The Sweet Tooth Fairy today. Have you been there? Their cake bites are amazing... but my new obsession is the cupshake. Huge double fudge cupcake + ice cream all mixed together = pure amazingness. I highly recommend it. You can put whatever cupcake you want in it. You can even get the cake bites shipped to your house. I am seriously considering doing that. Yum! Hope your weekend has been as treat-filled and fun as mine! Have a great night!